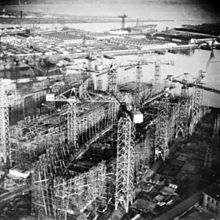 ^ Moss, M; Hume, J.R. Shipbuilders to the World: 125 years of Harland and Wolff, Belfast 1861–1986. Belfast: Blackstaff Press. 1986: xvii, 601 p. ISBN 0-85640-343-1. ^ Britain could lead world in offshore wind power. The Daily Telegraph. 14 February 2011.